What is the difference between Ambulant and Accessible (Disabled) facilities? 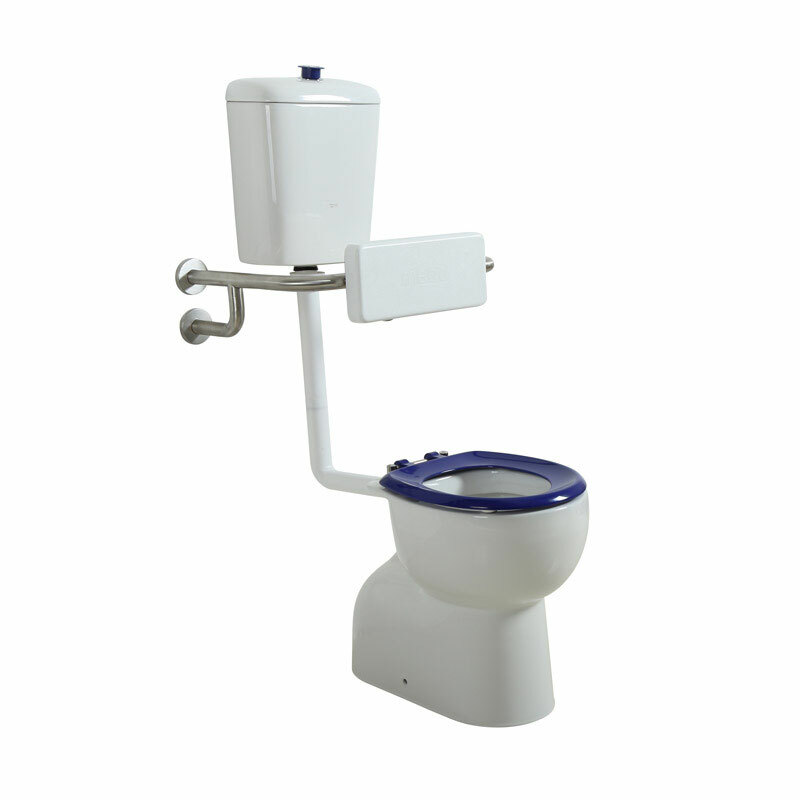 Ambulant toilets are specifically designed for those with ambulant disabilities that do not require the extra space that is provided by Accessible toilets. Primarily, they are for those that do not require the use of a wheelchair, for example, persons who have sensory loss, arthritis or require the use of a walking frame. 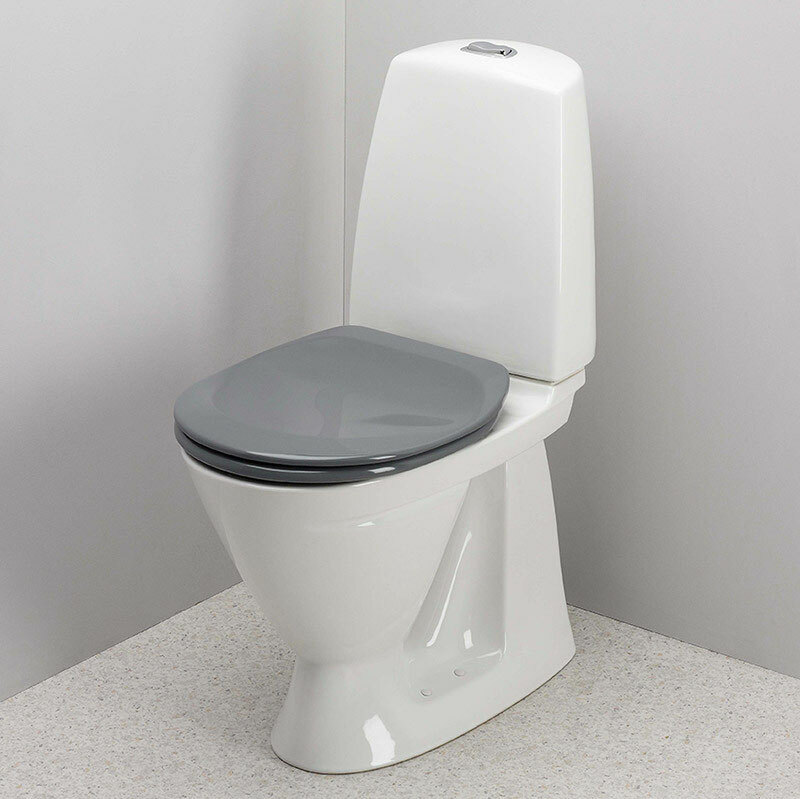 Accessible toilets are specifically designed to provide enough space to accommodate wheelchair access, and assistance when transferring from wheelchair to closet pan. 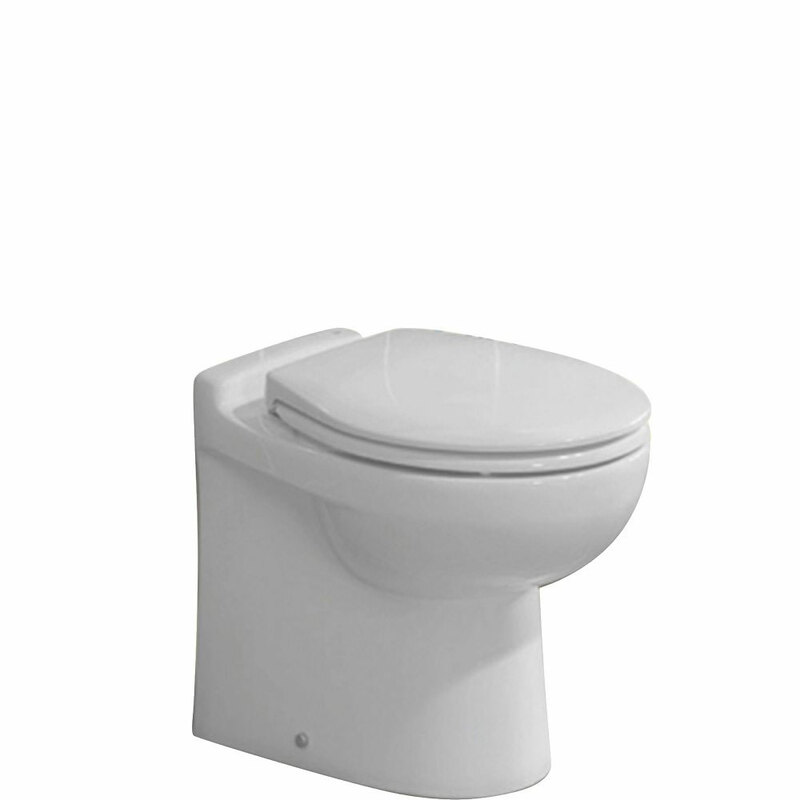 Accessible toilets include features such as lower mirrors and washbasins, contrasting toilet seat colour, grab rails and braille signage. 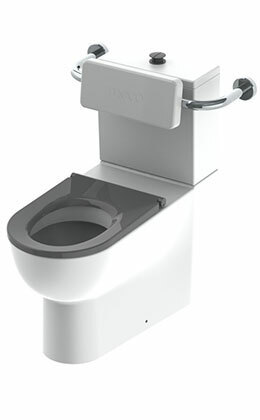 Refer to “General Requirements for Access” document which details the specifications in regard to Ambulant and Accessible facility requirements, including fixture and fittings, minimum clearances and door latch requirements. 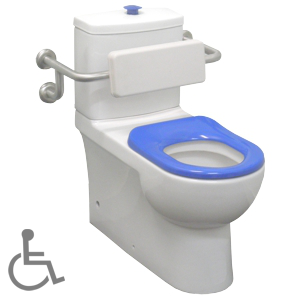 When are Accessible (Disabled) and Ambulant Toilets required? 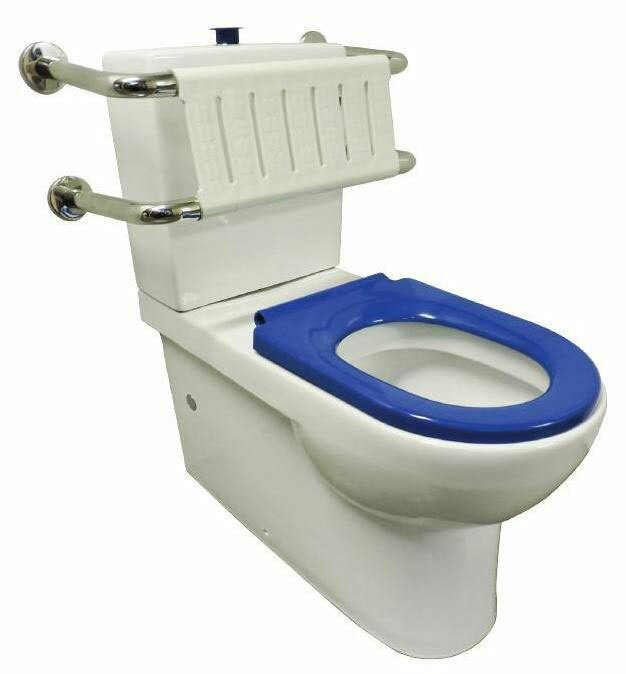 Are both Accessible and Ambulant Toilets required? 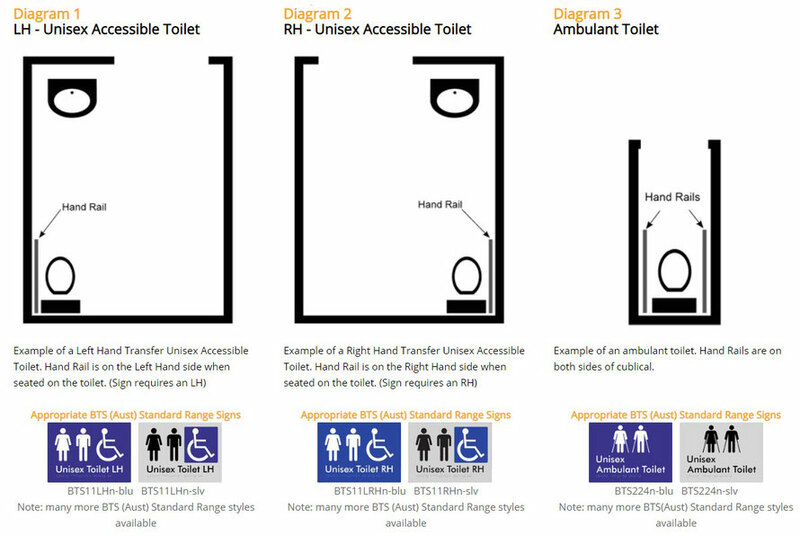 Whilst each building classification represents different ratio requirements for the provision of general sanitary facilities which is inclusive of Accessible andor Ambulant facilities, provided below is general example of the requirements for a café/restaurant use. Where you have less than 20 patrons, there is no requirement to provide sanitary facilities for patron use, and where you have less than 10 staff you must provide at least one unisex Accessible toilet (as a minimum). 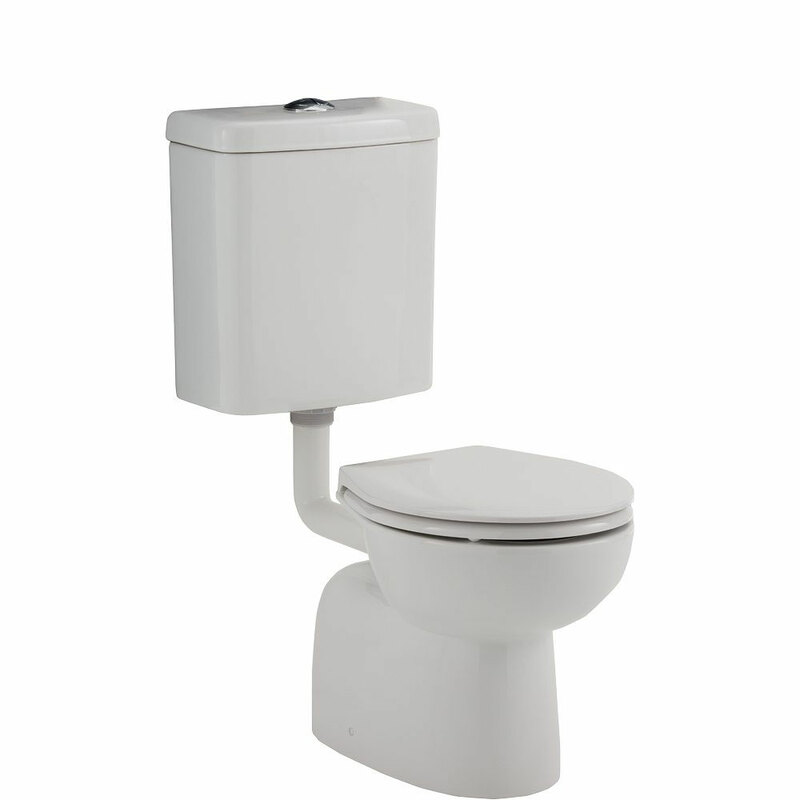 Where you have more than 20 and less than 50 patrons, general requirements include a minimum of one Accessible toilet AND the first male and female closet pan must be Ambulant compliant. 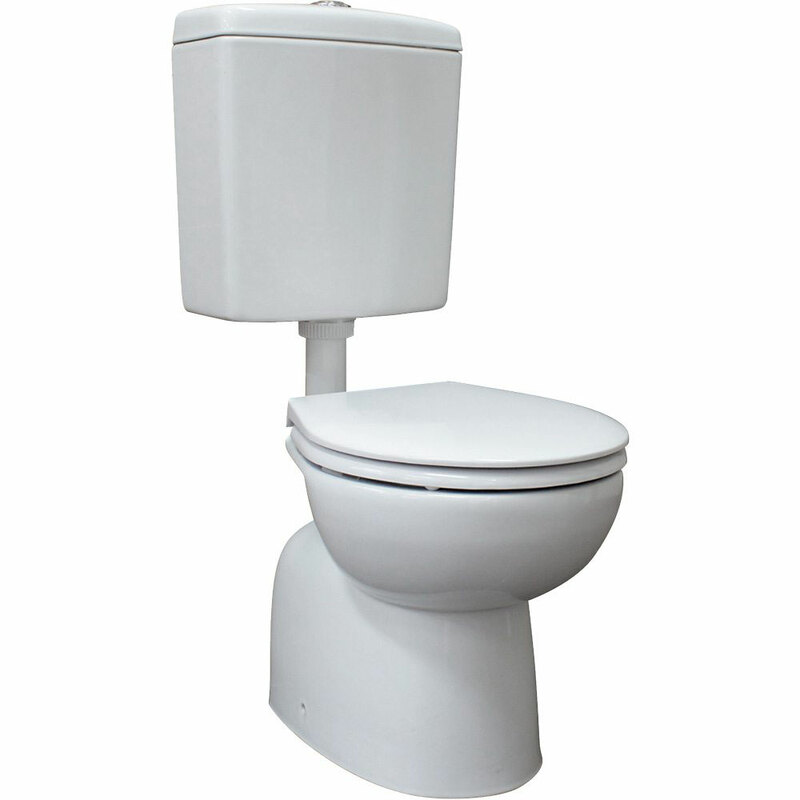 Additional facilities are not required for staff as they can be incorporated into the provided patron sanitary facilities (separate staff sanitary facilities are not required) . Where you exceed 50 patrons, any additional sanity facilities provided for patrons only need to be standard cubicles. It is important to note that the above is a very general guide on compliance requirements. Please check the Building Code of Australia/Premises Standards (AS 1428.1) for specific information. The requirements to provide AMBULANT accessible facilities was prescribed in the Building Code of Australia (BCA) in 2011 as part of the adoption of the Disability (Access to Premises-Buildings) Standards. Since the mandatory requirement for these facilities was introduced, there has been much confusion about when they are required and also the reason for providing them. What is an ambulant accessible facility?